How are you? I hope you are well and always take time to rest well and have good meals. Thank youu for your previous Chuusday radio. 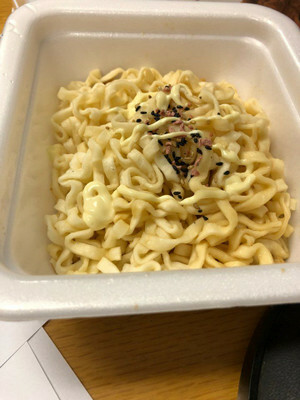 Sorry I write the comment so late  I enjoy your program, every seconds of it~ and today is another Chuusday so I am glad  The yakiudon with inari sushi seems so delicious. I also like inari sushi. When I have a chance to go to Japan again, I will try it 珞 For the matter of forgetting things, usually when I am packing, I make a check list of the stuff that I would need to bring. But there are times also when I thought I already pack it but it turns out I haven't 藍 Maybe it's a good idea to double check it again when we will leave the house. Ah you were so cute tonight! How are you so good at everything T-T Ah Jaeseung was so animated and lively tonight hehe. And in all the best ways. I am loving how his extra is such a beautiful part of his personality.. I am pretty sure he gets it from you tho, hehe. I really loved your work tonight. It was beautifully done as always and so entertaining! Thank you for your efforts and hard work always. Tomorrow is finally Chuusday!! I can't wait. I will look forward to it well. Thank you again for such beautiful things each week.. I have a super busy day tomorrow so I really have to sleep now. I hope you will sleep incredibly well tonight too. Thank you for another beautiful day..
Did you have a quiet day or was it really busy? I don't really have a preference.. I hope it was what you wanted or needed it to be. I always hope you've gotten lots of rest but i want you to be happy, and that's not necessarily achieved by a day in bed.. with me it might but for you at the moment, it may need something else. So I don't like to assume, but i did just hope that you are happy, full, well rested and healthy.. is there even another thing we need? I have no doubt in the world that you're doing a good job. Cross Gene members are all so talented and take such great care in their work that really it's a given that you've done well. And it is always a given also that CandY are proud of you.. the pride in you is because of that care and effort.. so the pride in you exists before we ever see or hear your work. how well it's done, how good it sounds, so the praise you get for it.. all that is just bonus pride.. all nice bonuses hehe.. but still a bonus all the same.. You are always someone that makes CandY proud.. every single day.. even when we don't see you.. we know you're working diligently and giving your all to it for us.. and so we are always proud. Anyway i should sleep! Please have a wonderful sleep tonight my hero! How are you today? I hope you had a really great day and that everything went really well for you. It would make me happy to hear this week has given you the things you wanted from it. There is extremely noisy road works outside my house.. yes at 1am lol. there is a major road out there so they do overnight roadworks on weekends to minimise traffic disruption.. sleep disruption is apparently not their problem lol. So i saw the pictures and the small video from yesterday. looks look you guys all had a lot of fun. I'm glad. You really work so hard that I'm glad you are getting such fun benefits too. I'm sure the filming isn't over yet though, is it? So I'm still cheering you on hehe. You make everyone so proud. But did you have fun? You kinda looked a bit tired in the end. Please take care of yourself still. Please have a really good sleep tonight my hero. Thank you for another beautiful day. How are you? I hope your doing well this day. You did look great today though. Thank you so much for the live. CandY were all so happy to see you. You always make everyone happy though.. you're so incredible like that. Ah and your smile was so beautiful too. I am so grateful to whoever made you laugh like that. However my brain just couldn't Korean today so i don't know what you said. I'm sorry. i am just so exhausted in every way that i can't focus on it at all. hopefully later I will be able to. I really need to sleep tonight. So I'm going to give you lots of love tomorrow when i feel a bit better. I'm sorry. it's just been incredibly hard today and i feel helpless. How are you today? Did you have a good day today? Please do rest and eat well each and every day. CandY will always worry about you each day so do your best ! Give us less to worry about lol. So what did i forget? a lot really but i don't understand everything. but kabedon was really sweet. But it always is. Thank you for those beautiful words each week. toasts in Korea or Japan are probably just the same as everywhere else. cheers and that. Its not something that's super common so it's probably just easier to keep doing it the same lol. So the sushi flavour was the best huh? Sounds so like you hehe. Riceball Shin Sushi Shin. 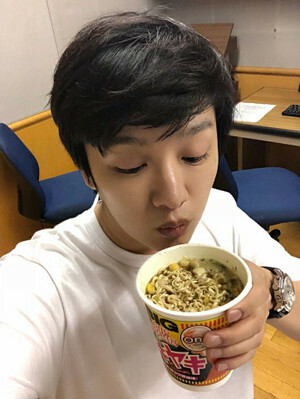 ShinShin Shin lol.. Its really adorable how much you love food. Food probably loves you just as much. Why is everything you do so beautiful? Tuesdays was such a good day and you deserve so much love for that.. Remembering everything is remembering how loving and sweet you are. And how fun you are hehe. it has been nice hearing lots about you recently. Just reminders that you are beautiful in many ways. Is filming going well? everyone is treating you nice? i guess its not much happening since you don't really talk about it. You definitely spoke about lotbs and isoso more so they must have been more exciting. lol. well, that's my guess anyway. Please always take care of yourself and do your best to have an enjoyable day. Ah Masha and Namie are amazing. And Arashi do have some really great lyrics. Because music doesn't actually need lyrics or singing, it can be so amazing on its own, when you decide to add lyrics to music, they do matter.. They should become part of the fabric of the song, not an overprint.. they should hold meaning.. always respect your art and create art you do respect.. Because of you don't respect it, how can you expect others to, right? So yes, when looking at songs with lyrics, the lyrics should matter. something like that anyway lol. Thank you again for the amazing show. Please have a good sleep tonight too! And thank you for another beautiful day today too.